Godrej Infinity phase 2 is a large scale residential project covering 45 acres. It has stunning 2BHK and 3BHK apartments with hi-tech interiors. The builders have made use of the finest materials in the construction process, giving you homes that are delightful in their interior design and style. Cozy, warm and impeccable in finish, you can be sure of enjoying a dream lifestyle here. These spacious homes are fitted with lovely flooring, beautiful light fixtures, modular kitchen and posh baths. As they have the latest wiring, modern technological appliances can be used to make life sophisticated and comfortable. 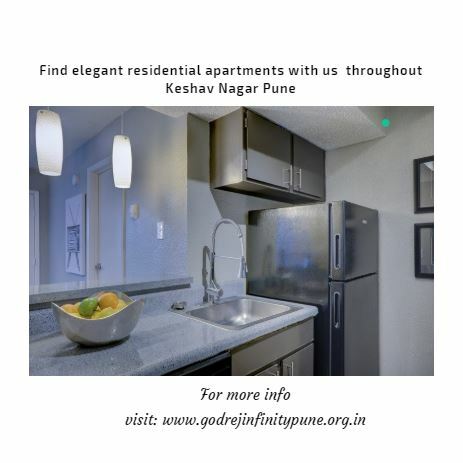 Godrej Infinity Phase 2 Pune has been designed with the purpose of providing high quality housing at affordable cost. Not only do you get the chance to own a grand home, you can also enjoy the finest clubhouse facilities. Features such as swimming pool, gym, sports zone, etc are available inside the complex to cater to recreational needs of residents. This makes your life all the more enjoyable as there is always something inside the complex to keep your engaged. You can enjoy the beauty of lovely garden surroundings. The serene river-side location of Godrej Infinity Keshav Nagar ensures a healthy atmosphere away from the noise and pollution of the city. But that does not mean long you are completely disconnected from the outside world, in fact its just the opposite! Keshavnagar is quite close to Koregaon Park, the center of city’s IT Industry. To the west of Keshav Nagar is Ghorpadi and to the east is Manjiri. The airport is easily accessible while the railway station is just nine kilometres away. In addition to that, the locality is also close to Pune Camp. Keshav Nagar is close to the Amanora Town Centre on the Hadapsar-Kharadi Bypass, Phoenix Market City and InOrbit on Nagar Road. All this makes Godrej Active Keshav Nagar a lucrative option for home buyers working in Information Technology (IT) companies, or looking to invest in rental property. Facilities such as 24 hours generator, latest security, intercom, eco-friendly facilities make this complex a haven for property investors. 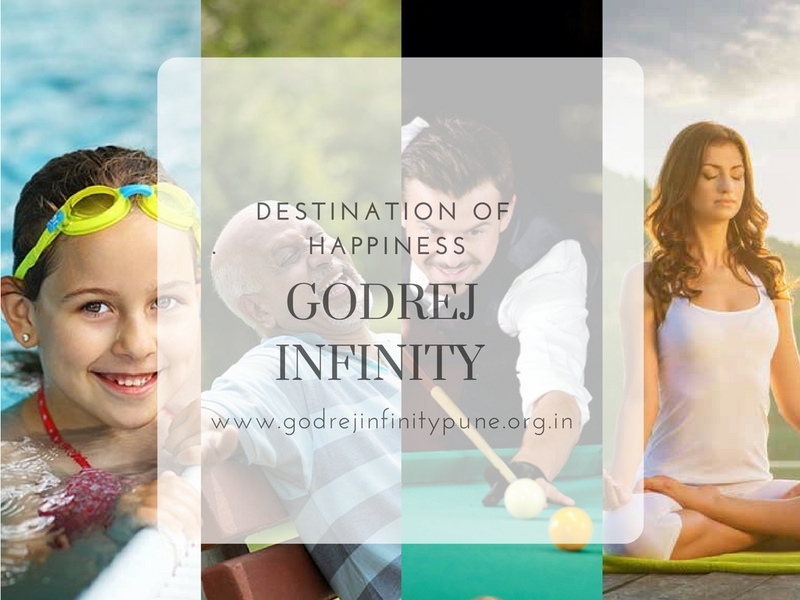 Buy now as Godrej Infinity Phase 2 price is low and enjoy a lovely residential life with your family. Located at Keshav Nagar, Pune. 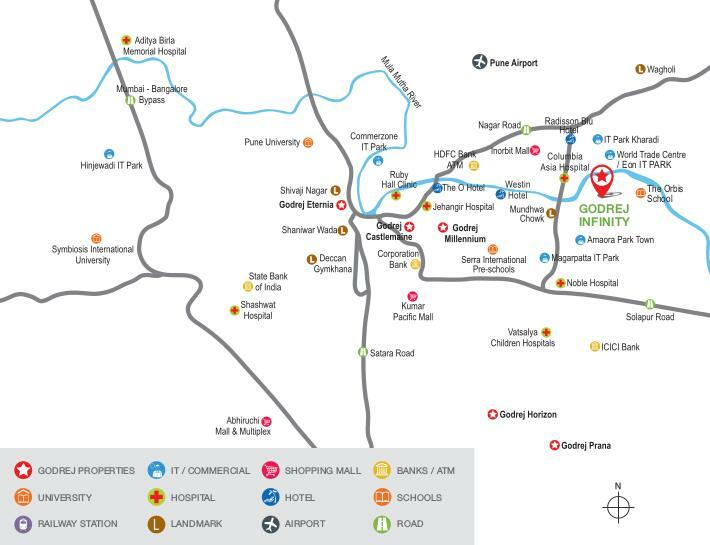 Just visited Godrej Infinty site at Keshav Nagar, Project is in full swing and nice location this will be next kharadi in next 5 years.